If you are a fan of the Griffin family, and you just can’t get enough of Stewie’s evil genius, you’ll be happy to know that Titan Comics and Twentieth Century Fox Consumer Products are pleased to announce the U.S. launch of the Family Guy comic series, based on the award-winning hit animated TV show from the mind of Seth MacFarlane. The Family Guy comic series will follow the Griffin family in a string of brand new outrageous storylines, along with fellow Quahog residents Cleveland Brown, Joe Swanson and everyone’s favorite ladies man, Glen “giggity” Quagmire. Family Guy has become one of America’s favorite animated TV shows of all time, and was named one of TV Guide’s “25 Top Cult Shows Ever!” The show boasts over 27 million fans on Facebook, and has been nominated for 13 Emmy® Awards including Outstanding Comedy Series. Artwork for the Family Guy comic series is provided by comic artists SL Gallant (G.I. Joe, Torchwood) and Anthony Williams (Judge Dredd, Superman, Batman). Twitter to find out when you can order your copy. 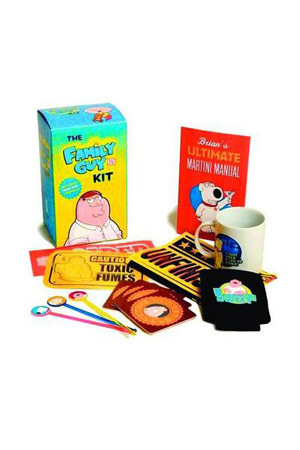 In the meantime, order other Family Guy products from TFAW.com. How thrilled are you about the friggin’ sweet news? Let us know by leaving a comment below. Michael in New Hampshire shared his thoughts on the Sock Monkey: Uncle Gabby HC. I don’t know if this was intended to be the last Sock Monkey story, but it reads like a summing up not only of the adventures of Gabby and Crow but of childhood itself. It’s bittersweet and beautiful and very possibly the best thing Tony Millionaire has done. A wonderful book. Round 2 brings back the Romulan Bird-of-Prey that’s been long out of production going on 35 years now so folks who missed out on the first release or just want to reminisce can enjoy it. Not the most accurate model out there but Round 2 saw that the major issues were addressed – most notably, the forward plasma weapon and the replacement nacelle caps. A jewel for anyone’s mantle! A “must get” kit! A fascinating arc in Spider-Man’s history. People have (rightly) complained that Carnage is a boring, one-dimensional villain; a hard claim to refute. Spider-Man’s response to Carnage, however, is what makes this worth reading. Don’t grab this book for Carnage, grab it for Peter Parker. Thank you to all of our customers for their product reviews last month. Good luck to you all for next month’s contest. Keep your reviews coming, and as always, we’re choosing our product reviews carefully. Please don’t submit duplicate reviews or submissions from other merchant websites. You don’t have to like the product to snag a winning review, so feel free to rant or gush. Dynamite Entertainment and TFAW are hooking you up again! We have comic book previews of three new titles on sale now: Red Sonja: Revenge of the Gods #1, Warlord of Mars Dejah Thoris #1 and Garth Ennis: Jennifer Blood #2. We’re giving you four to five pages right off the bat to check out these warrior women; all you gotta do is click on a cover! 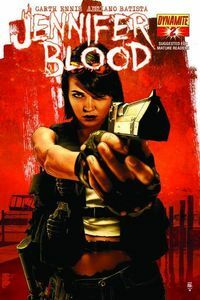 Who read Garth Ennis: Jennifer Blood #1? Are you going to follow it with issue #2? Are you psyched to see Red Sonja fight Loki? Do you think that there are enough strong female characters in comics? What’s YOUR favorite Dynamite title? We want to know what you think. We’re TFAW, and we’re here for ya! Post your comments below! Probably the best action figure of Hal Jordan’s Green Lantern I’ve seen. Looks great next to Sinestro from the same series. Bring the simple joy of a holy Icelandic warrior from the middle ages to your home today! A fun clean fight through hell, facing Satan himself as you have never seen him before. Churilla’s creature/demon designs are always interesting and unexpected, while Hester’s dialog is entertaining creating an atmosphere where you are sucked into the old world of the Anchor’s past which is revealed as he consumes the demon hearts of his vanquished foes. Such an ingenious idea for a comic: consult your 5 year old brother for ideas, and just run with it. This book is amazing. I can’t stop laughing. The stories are crazy and I love the artwork that depicts the world of Axe Cop. We want to thank all our customers for their product reviews last month. Good luck to you all for next month’s contest. Keep your reviews coming, you could be next month’s winner! As always, we’re choosing our product reviews carefully. Please don’t submit duplicate reviews or submissions from other merchant websites. You don’t have to like the product to snag a winning review, so feel free to rant or gush. 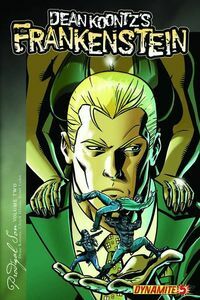 Image Month continues going strong here at TFAW.com, as we continue to highlight great titles and creators from one of the largest independent publishers in the industry. TFAW.com: You’ve jumped from Greek mythology in Olympus to survival horror in The Light: did you experience any difficulties making such a drastic leap in genre? Nathan Edmondson: Not really. I was inspired to work with Brett, of course, and I enjoy the research into a new genre. It’s more exciting than anything to move into a new world and start writing about it. TFAW.com: Coyle in The Light is a pretty unusual hero. What inspired you to create such a troubled protagonist? Edmondson: The story dictated it. I knew that the lead character needed to be a darker figure than the darkness around him, so that his struggle produced a stronger gravity than the supernatural events he’s struggling against. It felt right; and a lesser evil here would have gone unnoticed. TFAW.com: You’ve set The Light in Astoria, Oregon, a few hours from Portland (where Things From Another World has its headquarters!). How did you make the decision to set the story here? There are lots of nice details locals will recognize, such as not pumping your own gas. Did you visit Oregon to research the setting? Edmondson: I was in Oregon whilst plotting the book. In fact Brett and I conceived The Light to be set in Ireland, but for a variety of reasons we directed our thoughts stateside, and the ambiance of the Oregon coast fits the mood of the book perfectly. The book begins in Astoria, but readers will find that it quickly crosses inland and hits other cities, like Corvallis and Portland. There will in fact be a great many recognizable landmarks to Oregonians (and visitors alike). Brett is a Portlander himself right now and he had the opportunity in issues 4 and 5 to illustrate some of his current hometown. But, in all honesty, we set The Light in Oregon really just to get a special interview with TFAW. Success! TFAW.com: One of the themes in The Light is the sinister path seemingly benign technology can take. Will you be further exploring this idea in later issues, or will the story remain focused more on the characters? And will readers eventually learn where the virus originated and how it is transmitted through light? TFAW.com: There are some intense issues of trust at play here, as well as symbolic imagery of the characters’ inner traits. How important a role does symbolic imagery play in this story? How much of what is there is intentional, and how much a happy accident? Edmondson: The line between what is intentional and what is organic in this (and any) story is quite blurry. Tolkien advised his readers not to look too closely for symbols, but to feel instead the overall effect–though the symbols are certainly present in his work. I do agree that The Light is rich in imagery and metaphor, but I think that if you focus on any one image you will lose the effect. The same is true of writing. Some imagery is intentional, some incidental, some coincidental, but it should come out in the expression of the grand story. If you focus on it too much in the writing process you risk losing the forest for the trees. So to answer the question (yeah, I was getting there! ), I suppose I would call it for the most part coincidence by design. TFAW.com: Do you find it difficult to fit this kind of story into only five issues? Edmondson: Not particularly. Once I isolate the story that I want to tell: this specific tale, and not, for example, what’s happening on the other side of the world, I start with a skeleton of an idea: a father must protect his daughter while traveling inland. At that point it’s a matter of crafting the environment to fill the space around that basic idea. Adding elements until you’re filled to the top and then backing off a bit and giving the story some breathing room; editing things out that really aren’t necessary. 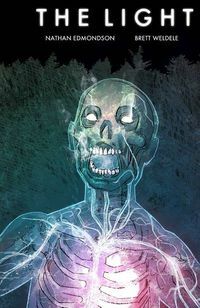 TFAW.com: The Light brings to mind another great character-driven survival horror title from Image, The Walking Dead. Were you inspired at all by Robert Kirkman’s work? 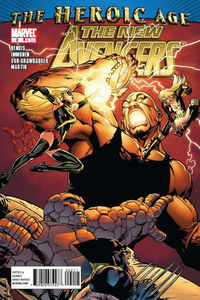 How do you feel the two titles complement each other in Image’s line up? Edmondson: I wasn’t directly inspired by Kirkman’s work, no; perhaps more Cormac McCarthy, if I can put a finger on any one writer. I do think that The Light and The Walking Dead compliment one another terrifically–if I dare say so! 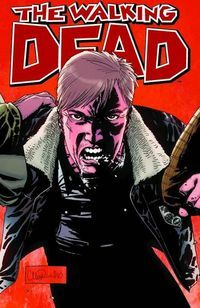 Kirkman proved with his book that Image was the most appropriate home for a story like this, and the success of Dead certainly aids The Light. TFAW.com: You’ve worked with some really talented artists on this and previous projects. Are there any artists you’d particularly like to work with in the future? 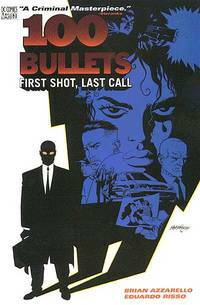 Edmondson: One I can name with certainty is John Paul Leon. He and I have knocked story thoughts back and forth and hopefully we’ll land one in the goal soon enough. I’m an enormous fan of his style and his portfolio and just JP as a person. 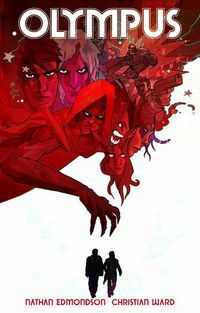 I’d also be thrilled to work with Greg Tocchini. His work is vibrant and really beautiful. TFAW.com: Tell us about your creative process. Do you start with the idea for the story and then develop the characters? Or do you start with the characters and see what story unfolds? Edmondson: It all depends, really. With The Light, it was the concept first: a light-born infection. Then, how to make that a story? The most important part of the process to me is giving it time. Spending a few days just thinking, just letting it gestate. I’m not sure where the thought of an abusive father and his daughter came from, but I ran with it. I sketch some outlines for the overall arc, and when I feel I have something I begin to break it down into issues. All of this in consultation with Brett, and his thoughts were at every juncture quite valuable. TFAW.com: You often talk about the great classic works of literature and encourage people to read them. Do you view yourself as a literacy advocate? How do you think comics fit into literacy advocacy? Edmondson: I’m happy to be called a “literacy advocate.” I encourage reading as often as I can. I think comics are a wonderful medium and I am always ready to recommend a title to anyone. I believe comics to be a wonderful opportunity for new readers and bibliophiles alike. I don’t think readers should confuse comics and classic literature; the mediums ultimately have each a different purpose (with many exceptions) and comics should never replace books completely in any reader’s catalogue. Ideally both mediums should compliment one another and fuel an overall love for reading. TFAW.com: You’ve got some tantalizing “Coming Soon” banners on your website. Can you give us a peek at what’s coming next for you? Edmondson: Hm…well, here’s a little teaser from my next project. That’s all I can share right now. TFAW.com: In the past you’ve described yourself as coming into the comics industry as an outsider. With the critical acclaim given to Olympus and the first two issues of The Light selling out in record time, do you still see yourself as a relative newcomer, or are you feeling more at home? Edmondson: Maybe I’m no longer standing in the doorway, but I’m not sure I’m eating from the table yet. Maybe I’ll have more to offer if I’m never quite at the table. TFAW.com: Thanks for your time, Nathan! Looking forward to future issues of The Light? Did you read Olympus and what did you think of it? Let us know below! Jonathan Luna Joins Our CBLDF/SDCC Autograph Card Event! We are pleased to announce that the latest contributor to our Second Annual SDCC Autograph Card/CBLDF Auction event is Jonathan Luna! He will be joining more than three dozen incredible artists who are donating original black-and-white sketches to the Comic Book Legal Defense Fund. The sketches which will be auctioned off at SDCC later this month, with 100% of the proceeds going toward the fight for the First Amendment rights of the comics community! 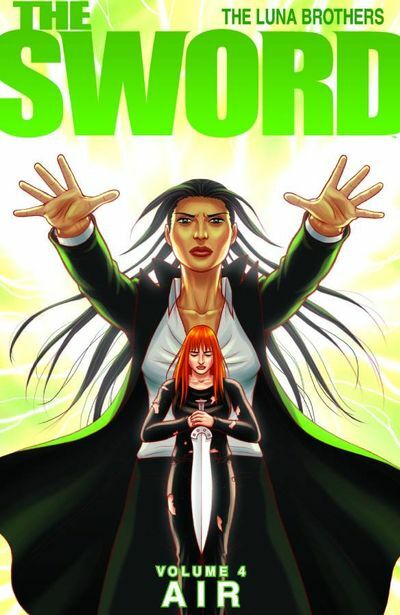 Jonathan Luna’s projects with Image Comics include the science-fiction comic series Sword and the very creepy Girls. If you haven’t read these comics, go! Read them now! You can thank me later. However, you don’t need the big bucks to get a copy of Luna’s sketch–TFAW.com will be taking all of these sketches and creating limited-edition autograph cards, which you will be able to get for free down in San Diego at Comic-Con! We want to thank all of our participating publishers and creators! If you’re headed to San Diego Comic-Con this year, make sure to visit their booths–or the TFAW booth–to collect your limited-edition autograph cards. Quantities are limited, so make sure to get yours early! Are you as excited to see all of these sketches as we are? Post your comments below! Ben Templesmith Steps Up to Support Our CBLDF Fundraiser! 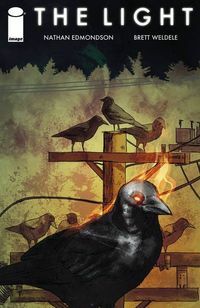 We are pleased to announce that the latest contributor to our Second Annual SDCC Autograph Card/CBLDF Auction event is Ben Templesmith! More than three dozen incredible artists are donating original black-and-white sketches to the Comic Book Legal Defense Fund, which will be auctioned off at SDCC later this month, with 100% of the proceeds going toward the fight for the First Amendment rights of the comics community! 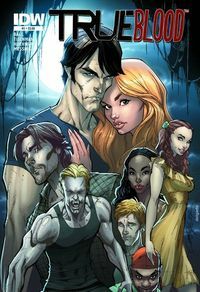 Ben Templesmith’s latest projects include the intense comic series Choker and the upcoming all-ages Fractured Fables hardcover from Image Comics. We recently sat down with Ben to discuss Choker co-creator Ben McCool as a part of our Image Month event. You can read the entire conversation here! However, you don’t need the big bucks to get a copy of Templesmith’s sketch–TFAW.com will be taking all of these sketches and creating limited-edition autograph cards, which you will be able to get for free down in San Diego at Comic-Con! Kody Chamberlain Joins Our CBLDF/SDCC Auction Event! We are pleased to announce that the latest contributor to our Second Annual SDCC Autograph Card/CBLDF Auction event is Kody Chamberlain! We now have more than three dozen incredible artists who are donating original black-and-white sketches to the Comic Book Legal Defense Fund. These works of art will be auctioned off at SDCC later this month, with 100% of the proceeds going toward the fight for the First Amendment rights of the comics community! 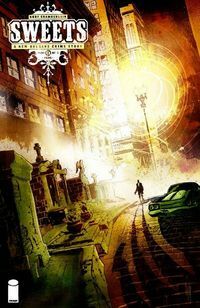 Kody Chamberlain’s latest project with Image Comics is the New Orleans crime comic Sweets, for which he is both the writer and the artist. We recently sat down with Kody to discuss this gritty thriller as a part of our Image Month event. You can read the entire conversation here! However, you don’t need the big bucks to get a copy of Chamberlain’s sketch–TFAW.com will be taking all of these sketches and creating limited-edition autograph cards, which you will be able to get for free down in San Diego at Comic-Con! Plus, you can enter to win a page from Kody Chamberlain during our Sweets Twitter Contest! The contest ends soon, so tweet fast! Tweet like the wind! Every month, we choose a few outstanding product reviewers and send them free stuff as part of our Product Review Contest. After poring through some amazing product reviews from June’s submissions, we narrowed the field to three victors. The show may be long gone but with this book you can extend your enjoyment and pretend that it’s still on the air. It’s like seeing a long-lost friend once again. 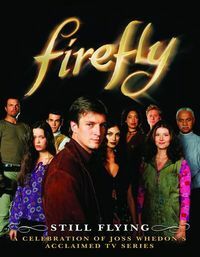 It’s a must have for Firefly fans. I gave this one four stars because I’m just really enjoying the comic. Wagner and co are hitting all the right beats for me with this year one story. I love the vintage setting and the way the color pallet and art work bring it to life so vividly. The only reason I’m not giving it 5 stars is because it reminds me so much of the Lone Ranger origin books Dynamite – not to mention Batman Begins. However, I don’t say that in a bad way! 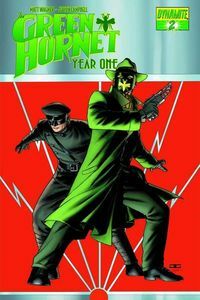 This is a great retelling of the Hornet’s origin with a crackling good “Kato-only” adventure paralleling it. Think Batman Begins type story telling set in Indiana Jones’ time with Elliot Ness’ Chicago backdrop. High fives all around for Wagner and crew! And Dane from Wisconsin wrote a really good review for the 100 Bullets TPB Vol. 1: First Shot, Last Call. I ordered the first 2 TPB of this series because it sounded really good but then I got it and it was regular book(ish) paper and I thought all graphic novels were printed on glossy magazine paper so I was sad but then I started reading and I was enthralled. It’s about people who are given a briefcase with 100 untraceable bullets, a gun, and evidence proving someone ruined their life. The rest is up to them. Really good series so far.